For some reason it’s been months since I’ve added games played to my Debaser diary, so I’m going to start trying to play a bit of catch up. First up, Mario Kart 8 Deluxe, which I got on release, and which I still play quite regularly. It’s a testament to how much I love this game that I played it EXTENSIVELY on Wii U, and despite that, I got it again on Switch, and I still keep on playing. It’s been great to play it at work with colleagues the few times I brought my Switch over there, and I still have a lot of fun playing online a few nights a week — and I love being able to play it out on my balcony or in bed. The big addition were the battle stages, which I admittedly don’t really play much, but for me it’s still been a worthwhile purchase, and I’m still hoping that they’re going to continue to support it by releasing new tracks. 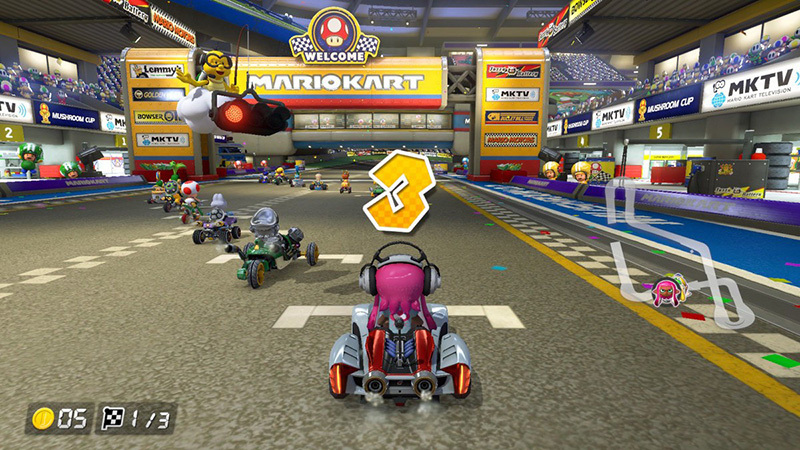 As I’ve said before, more than a new F-Zero game, I’d be happy for them to just make more F-Zero-inspired tracks for MK8D. I have some friends who find the game to be overrated because it gets praised so much and doesn’t have much in terms of “things to do” (like an extensive career mode). But I think it says a lot that despite all that, I just keep loving playing races online, and playing it with friends when they come over — and that it’s a fairly easy game for people to have fun with, even if they’re playing it for the first time (try doing that with a Forza game).